Tips about Online Sales, Appraisal Skills, Time Management Training Courses: How Sales Training Courses Help Deliver the Perfect Sales Pitch? How Sales Training Courses Help Deliver the Perfect Sales Pitch? Sales training courses are essential if you are planning to convert your potential customers and get the maximum out of them. When you are selling a product, don’t make it a desperate attempt. It is always good to have the right things being said about the product you are selling, and then creating the right sales presentation which can impress your buyers. But, when you go in for a sales presentation, you need to prepare. Practice is the key to a perfect speech, or that’s what they teach you at the sales training courses. But, it is not all about practice! You need to have a well defined speech that helps you win the best possible customers. A perfectly tailored sales pitch is your key to gaining the best ever consumers for your brand. You can convert potential to successful with the right keynote address. You may ask how to craft the best possible sales pitch? Here’s where sales training courses come to your rescue. They help you in idea and craft the perfect sales pitch. Here is a four step method that most training courses have listed out for the perfect pitch. What all are you looking to discuss when you go out to meet your potential buyer? What all points, about the product, do you want to highlight when you are with your potential buyer? Identify and list out these points. Also place the different points in the order you wish to discuss. Once you have the points and the order in place, you are set to move forward with your keynote address. Make sure you have a detailed outline of the product. Even the most complex of products should have a detailed outline. When you are talking with your potential customers, you need to detail out the various points in the form of a story. A reference point or an analogy should be taken to convert the product description into a story. What you will be saying should create interest. Let’s say you are talking about GPS, but when you say GPS it is not going to create any difference. Saying location director won’t make much impact either. But when you make the person imagine being lost in a wonderland and trying to figure out the local maps in vain, probably you are making an impact. This is how story building works. When you are making a sales pitch, and commenting on the product features, make optimum use of visuals. Images, videos, etc. are all going to help you build on your story. You can even make your whole story impactful when you use visuals. Instead of explaining the feature with words, you can explain the content with visuals. Sales training courses will make you want to use more of visuals in sales pitch. This is one word that will never leave you, practice. Yes, you need to practice as much as possible to gain perfection in your sales pitch. Once you have incorporated all the points, you are set for your perfect sales pitch. Just go and deliver it, and convert potential customers to actual customers. Jack Martin professional blogger and sales trainer at PremierTrainingCourses, he trained many huge enterprise employees effective sales training course. A sale is the activity of selling product or services. For perfect sales, pitch is your key for gaining the best consumers for your brands. 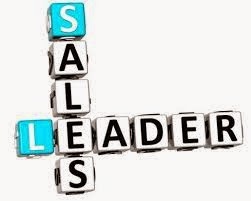 At RJA Sales Training, our professional trainers will help you deliver the perfect sales pitch.